Its not a TD. it has too many hitpoints for it to be a TD. 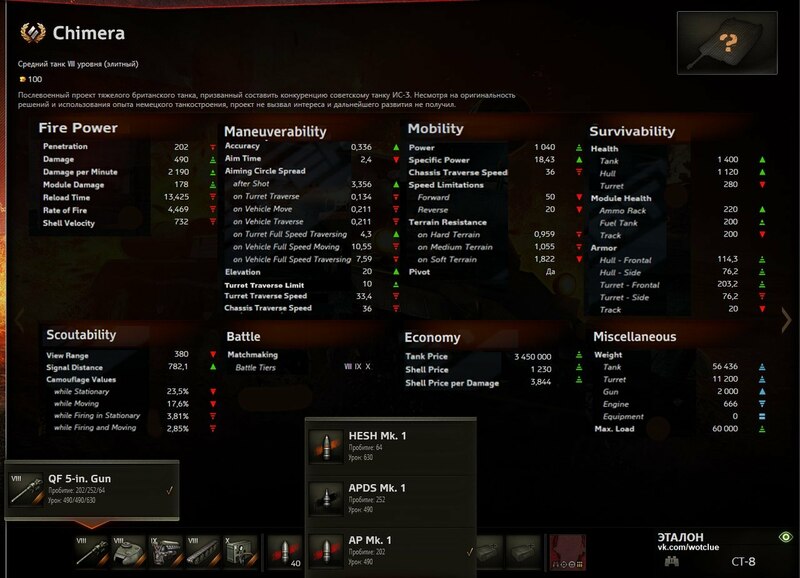 But either way I dont like the idea of premium tanks with that high alpha damage. actually i hate the idea. and i hate the skorpion g. and i hate all the new premium tanks. remember when they called Patriot op? by nowadays standarts Patriot is average. Remember when the Type 59 was a terror. Now people laugh at it when they see it and it is mostly just a collector tank. Power creep kills. Takes your money and leaves you poorer for it. Its a T9 med! I wonder what the Tx might be 🙂 …Hope so. Do we need more premium tanks? This tank looks like a more balanced skorp G,. Why not increase pen and make it a td? Wait, what? Massive alpha and good accuracy, fast, very good armor for tier…this is a medium tank? It’s a medium, it has it in the symbol on the top left. World of Pay 2 Win, da, da, all is good, comrade. Wait a minute… the chassis and rear hull (engine compartment) looks a lot like the Chieftain… Coincidence? The frontal hull is different, though… A Chieftain prototype, mayhaps? That’s what I’m thinking. Despite it being a beefy gun, it’s got an AP/APCR/HESH ammo selection and .33 accuracy, so it’s clearly not intended to be a derp cannon. This is a nimble tank with a big, accurate gun and solid turret armor… Definitely sounds like a Chieftain to me! Wait a minute!!! Isn’t that a Chieftain chassis? The front is a bit different, but the chassis and rear hull are quite similar… A Cieftain prototype, mayhaps? Don’t count your chickens. The invisible stats is what will decide it’s fate. It’s gun handling stats and terrain resistance. If those are bad, most of this is irrelevant. Dude, all the soft stats are here already. We, uh, can see the ‘invisible’ stats right there on the picture with all the stats. Hmm. Ignore me lol. My phone decided not to load the photo. Russians are in frenzy: “Oh no, 490 alpha and it’s not a Commie tank? What is this sorcery?”. Turret Traverse Limit of 10? I asusme that’s 10 degrees left, 10 right? Seems like a good way to keep this thing from being a little too crazy. Tier 8 Medium tank with more alpha than any of the tier 9’s and 10’s ? I like me some big and boxy British tanks… but why is this a Medium?